WIR-08-stapleup — ReNü Engineering Inc.
WINTER IS COMING... never rang so true to us. 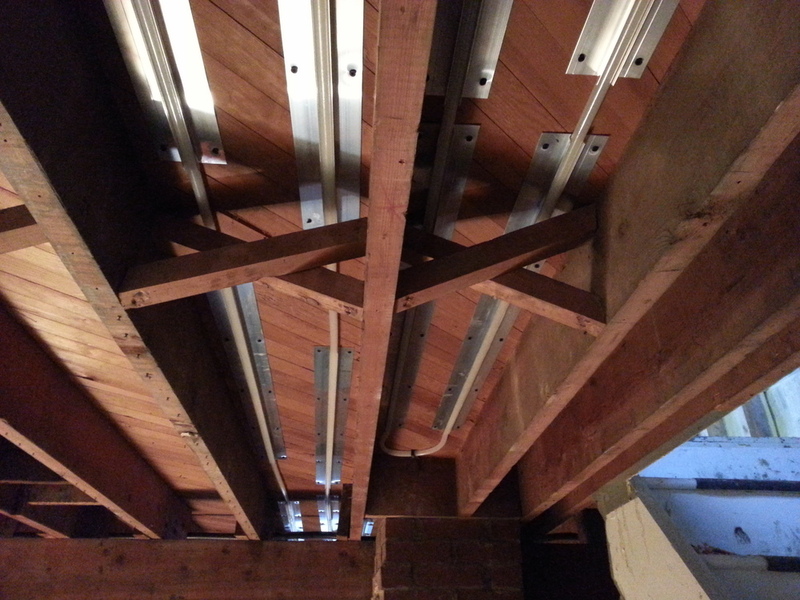 The original house had a forced air furnace, which sat right smack in the middle of the basement, and was haphazardly ducted around the house. 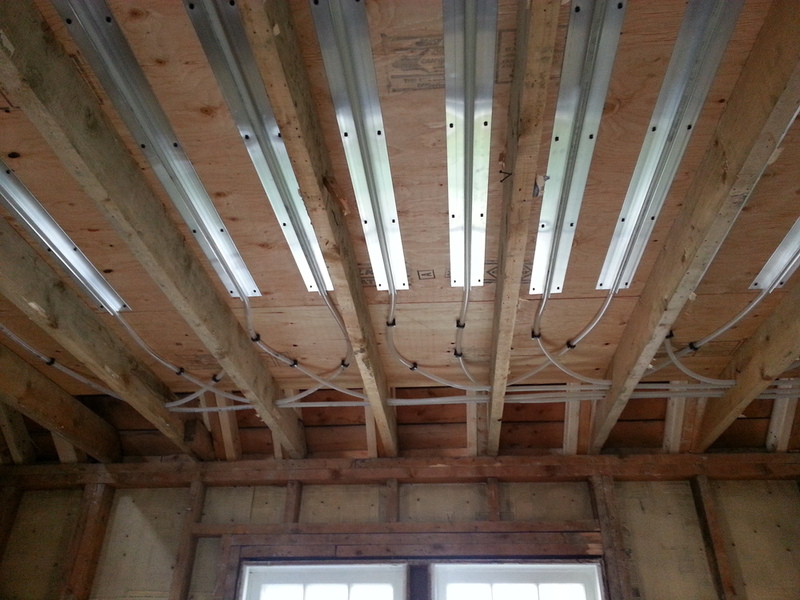 Much of the basement was rendered useless due to duct runs overhead, while the attic relied solely on a stack effect to exchange heated air through passive floor vents. 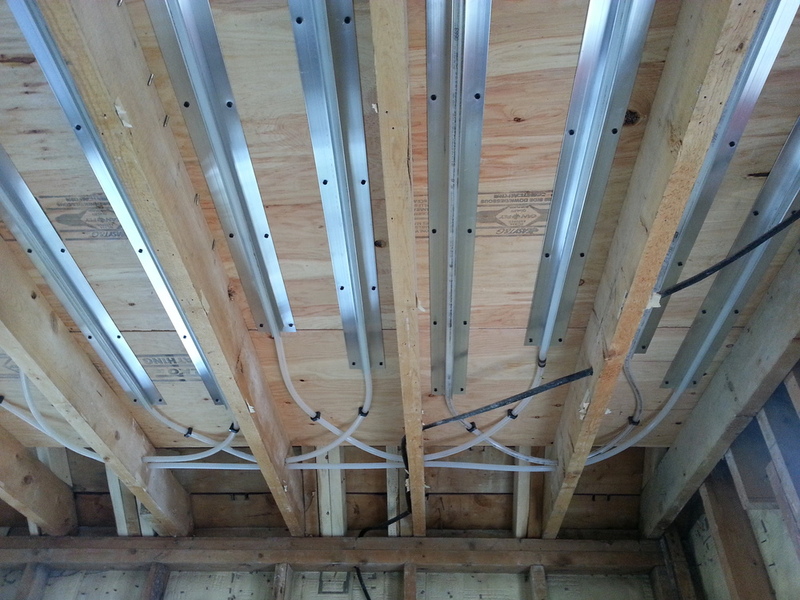 Our plan is to installed a hydronic staple-up heating system to minimize lost head space due to ducts, and to ensure uniform comfort until our super building envelope is in place. This will be coupled with a dedicated ventilation system and a ducted mini-split AC unit which will live in the East attic wing. 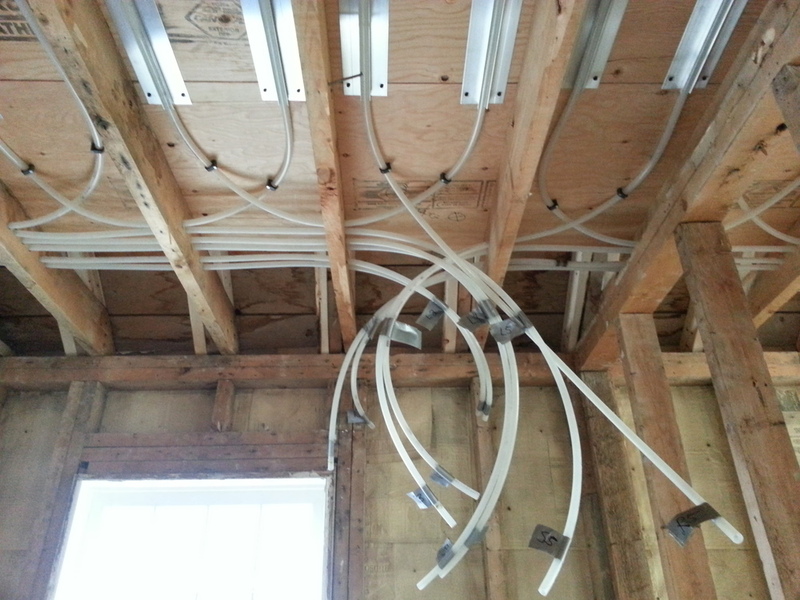 We find it's taking 5 x 250ft loops per floor, 1/2" heatlock Pex. 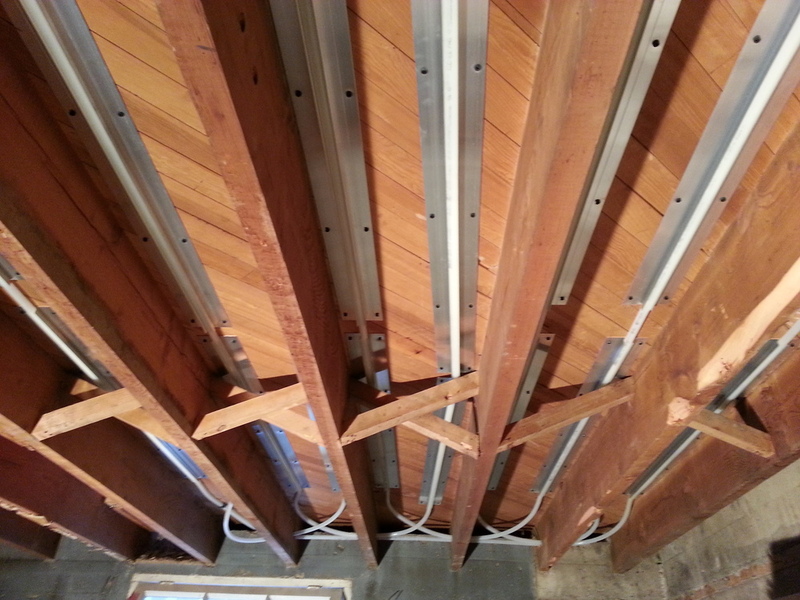 This is definitely a job I wouldn't hire out... much time & patience is required to pull a 250ft PEX coil back and forth through each hole in the joist. 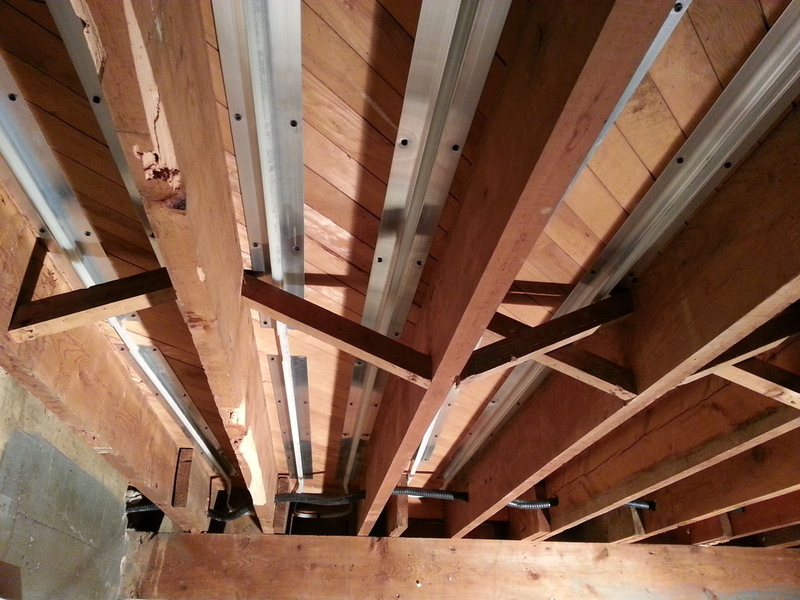 Used 3/4" holes in the attic floor joists, which is as small as I'd go. 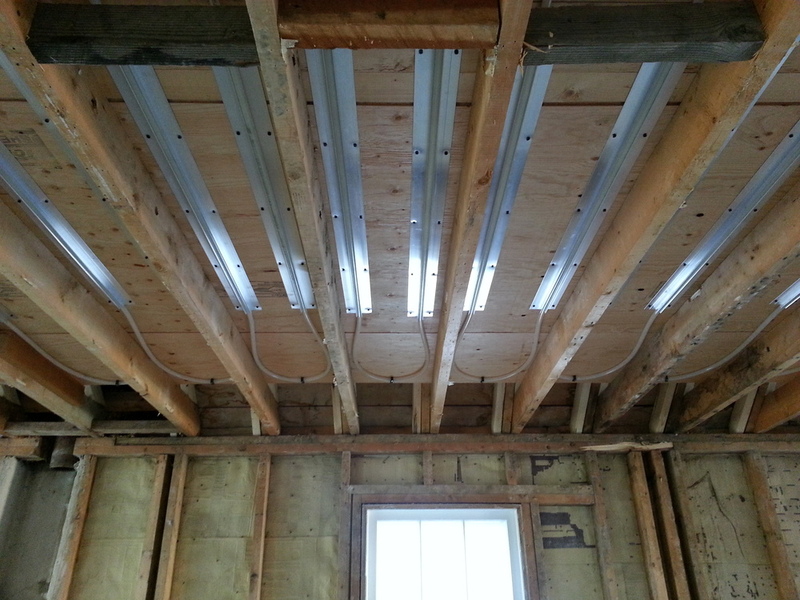 Went with 1" holes in the main floor (as the joists are deeper) and this makes pulling the coil much easier. 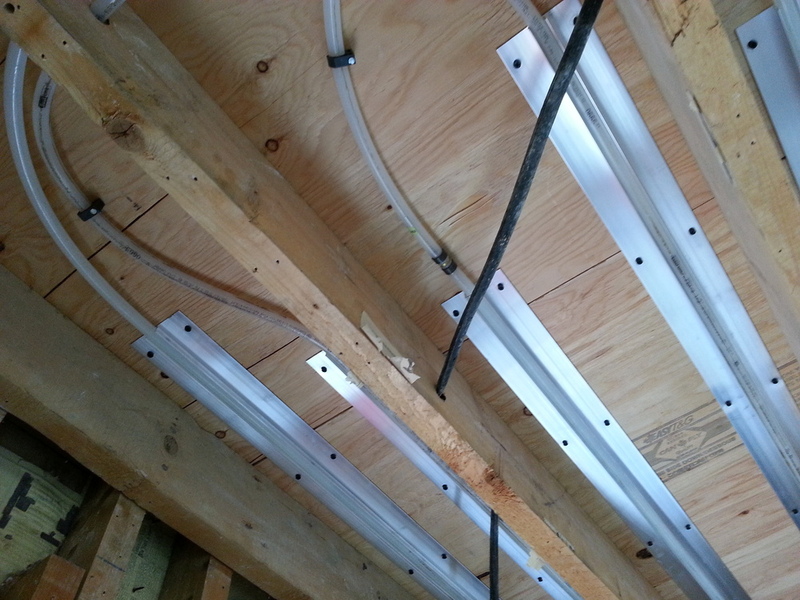 Shown are the Uponor/ Wirsbo Joist Track aluminium heat transfer plates, which will help conduction through the floor plate. 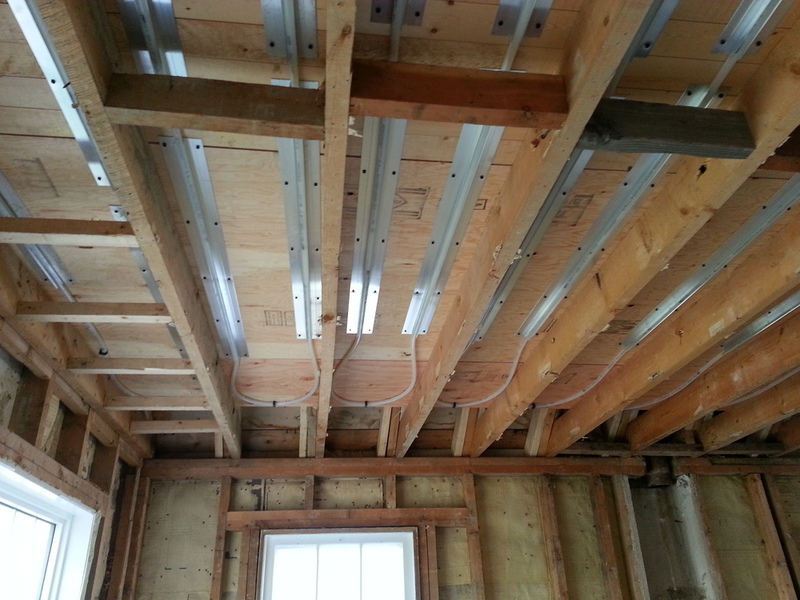 I've had a number of people tell me to insulate the joist space underneath the heating lines, to help push the heat upwards, but I feel that's not necessary when the final home will have a great building envelope and proper zoning. We'll be zoning each floor separately, via a 3 pump HPS panel.